Irish architecture has never before enjoyed the international profile it has gained in the past number of years. 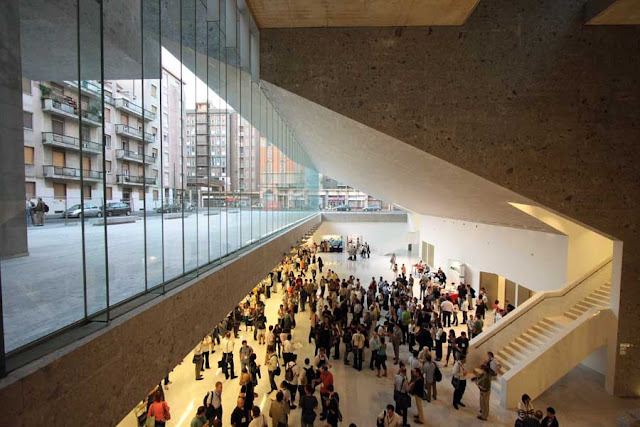 In 2008 Grafton Architects won the inaugural World Building of the Year award for their Università commerciale Luigi Bocconi building in Milan and won the Silver Lion for their contribution to David Chipperfield's Venice Architecture Biennale in 2012. Heneghan Peng have won international competitions to design major museum buildings such as the Palestinian Museum, the Grand Epyptian Building and the National Centre for Contemporary Arts in Moscow. London-based Níall McLaughlin was the favourite for last year's Stirling Prize (in a shortlist that was 50% Irish) and was recently announced as the architect of a new extension to London's Natural History Museum. In 2012 O'Donnell + Tuomey Architects were awarded Icon magazine's Architecture Practice of the Year and recently were announced as being on this year's Stirling Prize shortlist for their Saw Swee Hock Student Centre at LSE, their fifth appearance on the shortlist. 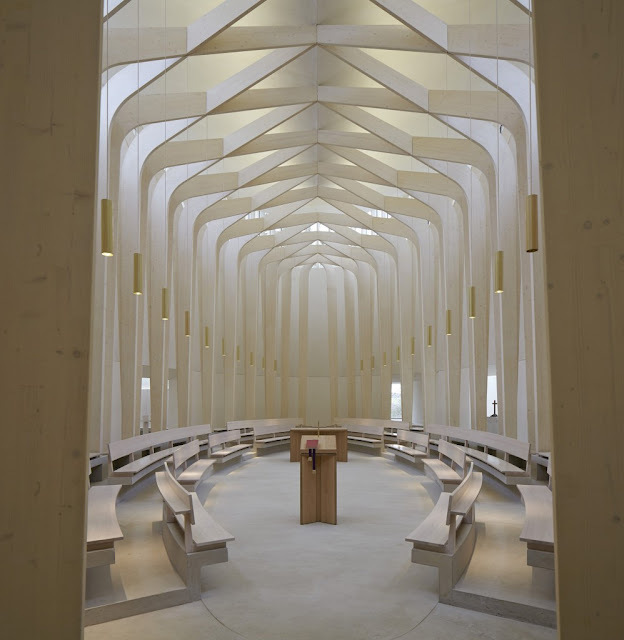 Younger practices regularly feature in the Architectural Review Awards, the Wallpaper* Architects Directory and other international barometers. Why is that? Why now?! "Irish architects are globally competitive in terms of talent and ability, and have been for some time, but it’s probably due to the complete absence of projects in Ireland that we’ve had to make our mark on the world stage." "She said it was hard work applying for competitions, ensuring you are in a network so people know about you, some luck of course... they were in practice for 25 years and then came Milan [an invited, not open, competition]. They got the invitation because they taught so were in a network, people in the know were aware of them." While Nathalie believes the attention Grafton's success has focussed on Ireland has helped other practices to succeed, Luis also sees a positive mentality in Ireland as contributing to Irish architecture's current success. "Now with the crisis ... you are obliged to think differently in order to survive and the Irish people have this 'yes we can' attitude which makes them proactive, the new generation are becoming doers, the conventional way to set up a practice is gone and I would say the Irish are adapting well to it." Michael agrees that adaptability is key, believing that architectural education in Ireland has for many years instilled in architects the ability to be versatile and to adapt: to scale, to context, to circumstance. Undoubtedly one of the key things putting Irish architects front and centre on the global stage is architectural competitions. While some would question whether competitions are an effective use of a studio's time (Rem Koolhaas ligitimately argues that for the many studios that don't win any given architectural competition, a huge amount of time, energy and creative output has gone to waste in creating their entry), the format has totally opened up the commmissioning process. Instead of a client phoning up their local starchitect to do the job, major buildings can now be designed by smaller or lower profile studios. 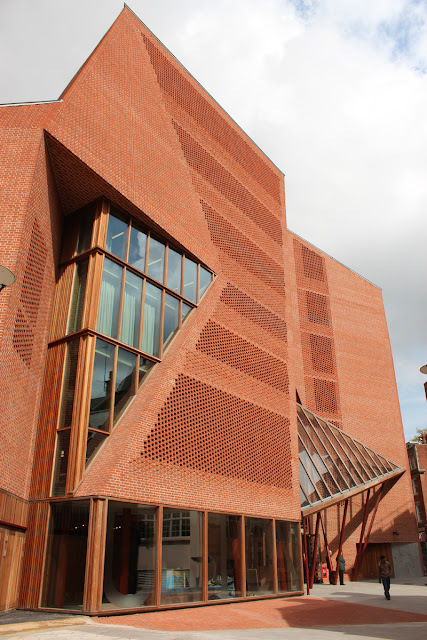 Julian Robinson, Head of Estates at LSE, admits to having never heard of O'Donnell + Tuomey before they entered the competition to design the Saw Swee Hock Student Centre. Working in SAW, I now can't imagine having the building designed by anyone else, and Julian says “it’s the best thing I’ve done in my career, the best piece of architecture I’ve ever been involved in.” What makes practices such as O'Donnell + Tuomey, Grafton Architects and Heneghen Peng so good at winning architectural competitions, I'm not quite sure. But I am certain that without competitions for them to enter, we wouldn't see them working all over the world to such a scale and with such a profile as they are now. Apart from learning, developing, adapting, taking risks and winning, is there something about Irish architecture - the way it looks, how it's made - that makes it so appealing right now? I think Irish architecture employs materials well, making for rich and tactile buildings. Caoimhe Loftus, an Irish architecture graduate practising in London, agrees that there is something about how Irish architects approach buildings that makes them special. "I think the Irish mentality means we have a kind of modesty which is evident in our architecture, we tend not to go for starchitecture as such". She makes the very valid point that in times of recession a degree of modesty goes a long way, which could explain why commissioners are keen to put Irish architects on the job right now. And when I look at some of the key buildings - both at home, here in London and elsewhere - that have been created by Irish architects, I can't help but notice they are calm, simple and unassuming. I get the sense that we don't go in for starchitecture because we don't need to: our buildings make their presence felt without flash, rather with a quiet confidence. 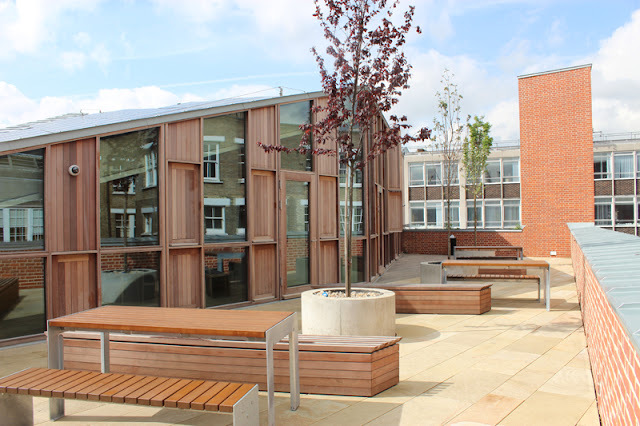 While our buildings may contain a quiet confidence, the sector as a whole can have that confidence in itself too, and build on its recent successes. Michael believes Irish architecture has yet to reach its full potential and I for one hope he's right. I look forward to seeing Irish architecture continue to grow and develop both at home and abroad. And as for confidence, Nathalie says of Ireland's younger generation of architects, "the new generation are brave and proud". And so they should be.